Don’t miss The John Abbott exhibit at the Hargrett Rare Book and Manuscript Library, in the Special Collections Library, Richard B. Russell Building, April 14 – August 31. John Abbott, an Englishman, came to Georgia in 1776, intending to say only long enough to complete a series of scientific illustrations. But he never returned to London; he spent the rest of his life in rural Georgia. 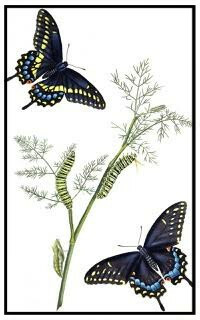 The Hargrett Library has on exhibit Abbott’s original watercolors and engravings of birds, butterflies, spider and moths. The Museum of Natural History supplements the exhibits with specimens of those animals. This is an impressive exhibit, recommended to all of us interested in Natural History. 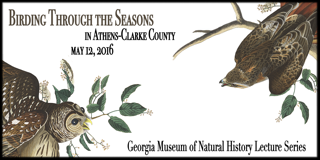 The Friends of the Georgia Museum of Natural History will host a lecture presented by Richard Hall on “Birding through the seasons in Athens-Clarke County,” on May 12, 4:00 pm, in the Special Collections Auditorium of the Richard B. Russell Building. Dr. Hall is a research scientist in the Odum School of Ecology. His lecture is part of the Georgia Museum of Natural History Lecture Series. (Co-sponsored by Friends of the State Botanical Garden of Georgia). Parking available in the Hull Street Garage across the street from the Library. Turn onto Hull Street from Baxter Street. Join us for our Annual Get-Together on Saturday May 21, noon till two p.m., at the Museum Annex (the building on Atlanta Highway where we held last year’s meeting). 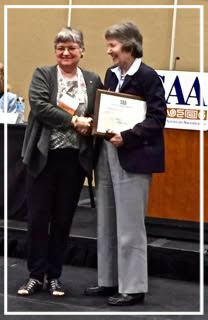 We’ll review this year’s progress, elect new Board members (and say thanks to departing Board members), view some new exhibits and enjoy some snacks and drinks. That’s May 21, noon till two. Put it on the calendar now!